Polaris can offer welding for your stacked cores. Welding results when materials are heated to a molten state and fused together. Laser Welding is a technique in which metals are fused together using the heat energy provided by a laser. Unlike traditional forms of welding, a laser produces a highly concentrated heat source which enables precise, narrow welds. 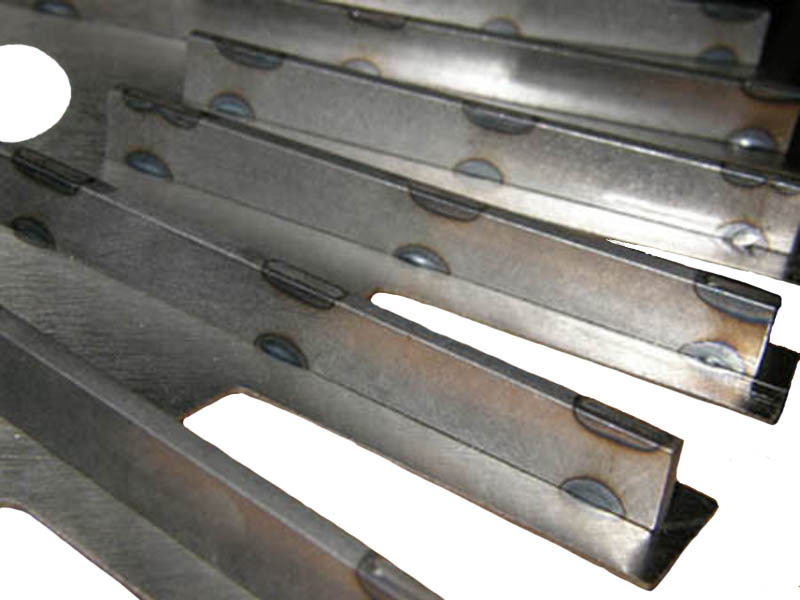 It is a versatile process which can be used to weld Stainless steel, Carbon Steel, and Aluminum. 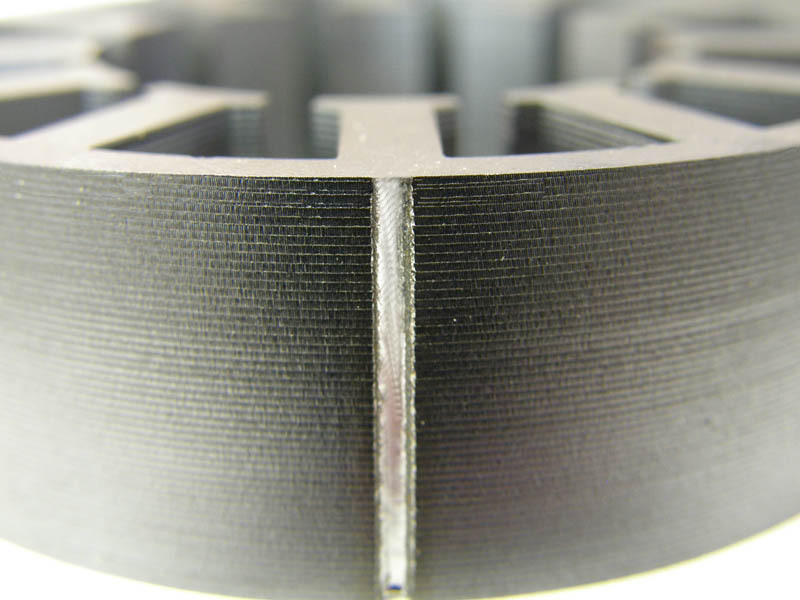 Laser welding is normally used for smaller sized cores. In TIG (Tungsten Inert Gas)welding, a tungsten electrode heats the metal you are welding and gas protects the weld puddle from airborne contaminants. TIG welding produces clean, precise welds on any metal. 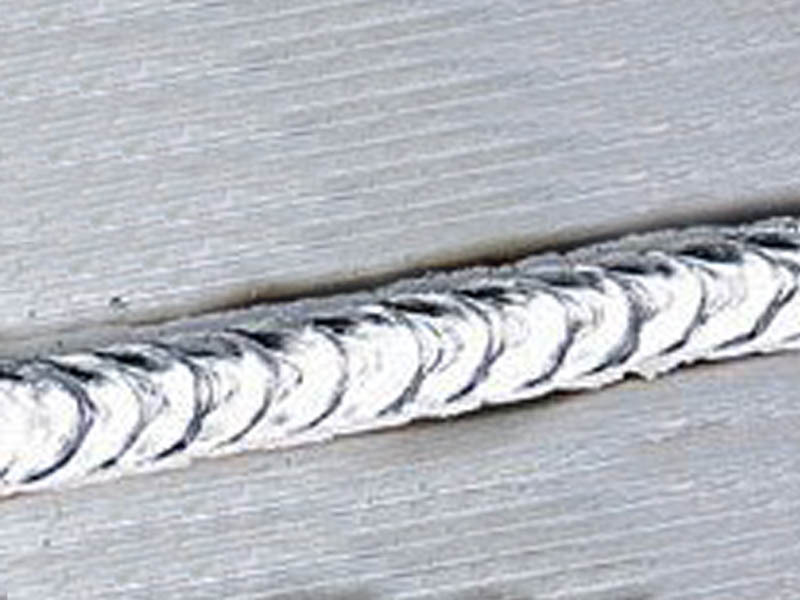 TIG welding uses a non-consumable tungsten and produces high quality, clean welds. 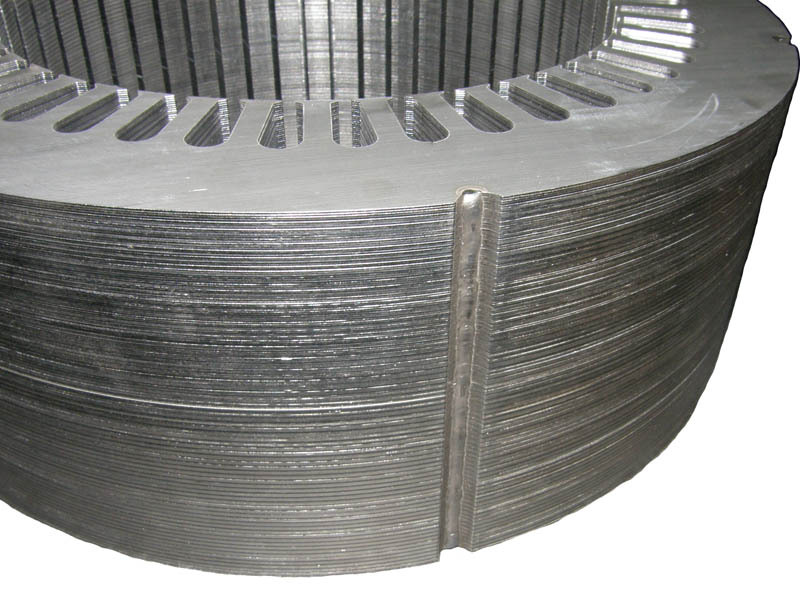 TIG wleding is normally used for medium sized cores. Gas metal arc welding (GMAW or MIG welding) is an electric arc welding process that uses a spool of continuously fed wire. It can be used to join long stretches of metal without stopping. MIG welding is normally for larger sized motor/generator cores. The spot welding process uses two copper alloy electrodes to concentrate welding current into a small "spot" and to simultaneously clamp the parts together. Forcing a large current through the spot will melt the metal and form the weld. The main feature of spot welding is a large amount of energy being delivered to the spot in a very short time frame. This allows the welding to occur without excessive heating to the rest of the sheet.